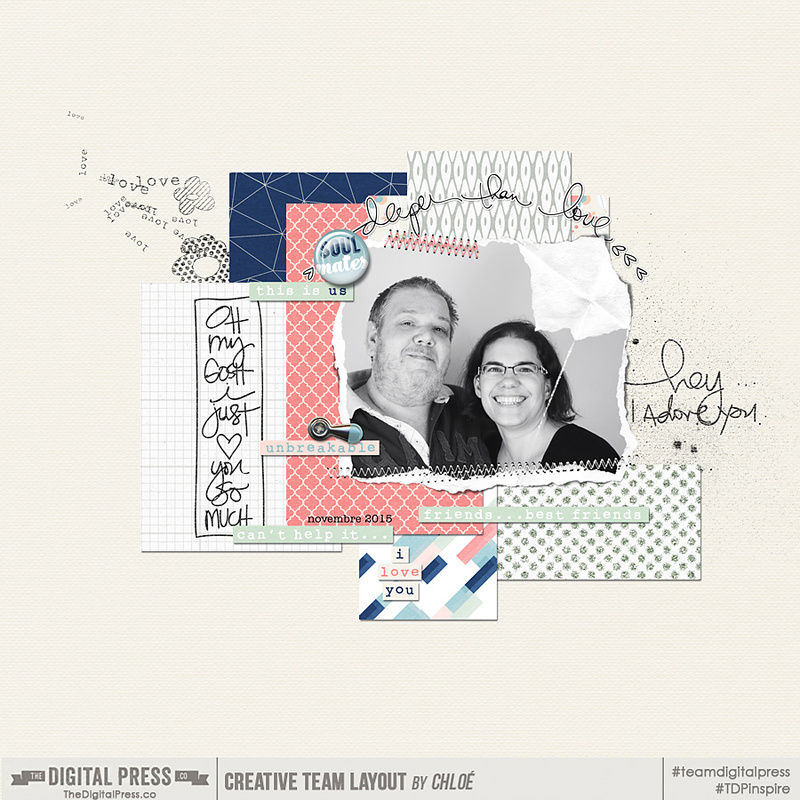 So, I'm keeping it simple with today's challenge - it's difficult enough choosing from the new goodies in the store, so I'm challenging you to scraplift to get you scrapping! What I'd like you to do is head over to the Creative Team Gallery. It's brimming with inspiration from our team, old and new so you'll have no problem finding a fab layout to lift. The only problem might be choosing just one! Once you've created your layout, post it in this thread along with the layout you were inspired by. Simple as that! 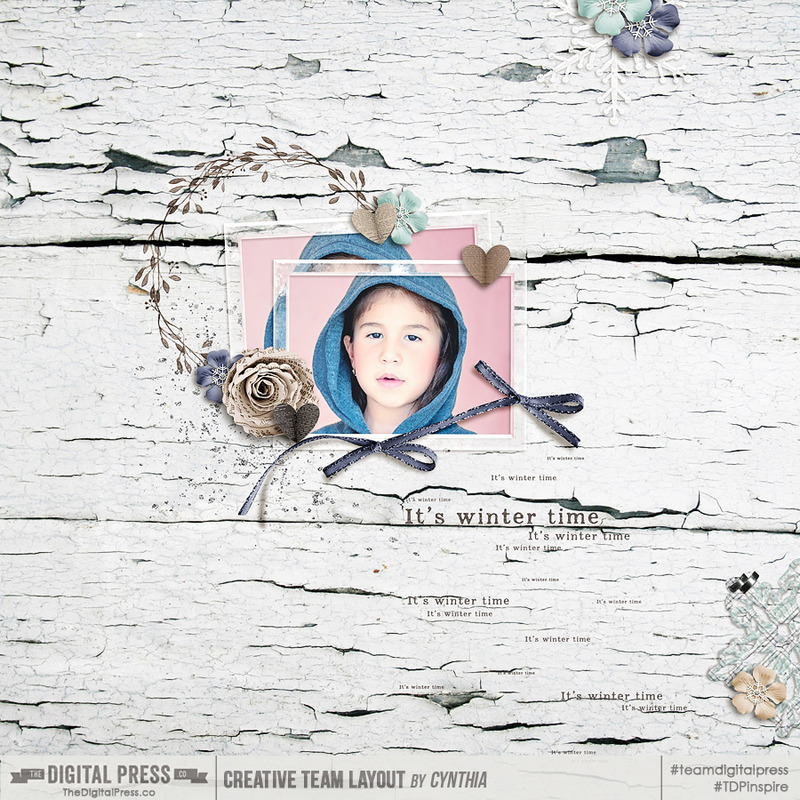 I chose to lift Cynthia's fab layout 'It's Winter Time'. I loved the way she laid out the elements and the balance they give to the layout as a whole. 2. Pages must be uploaded to the Challenge Gallery and linked here in this thread by 11:59pm EST Wednesday, December 2, 2015. Oh, there are some terrific pages there!! 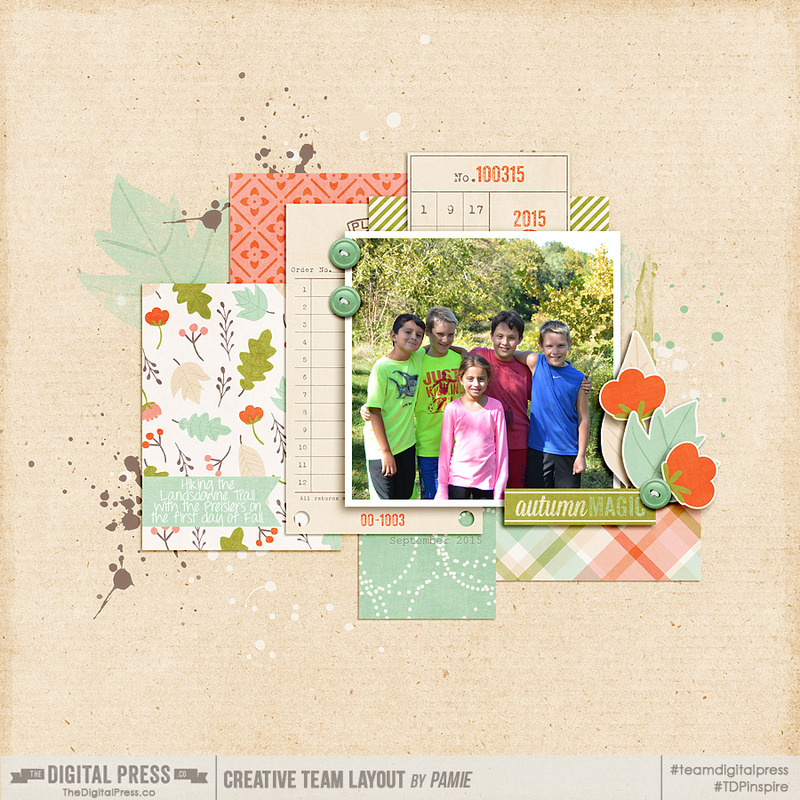 I'll try to get my scrap on tonight and scraplift some of my talented fellow CTM!! Here's my page . . .
Thankyou for joining in, ladies. I love both your pages! 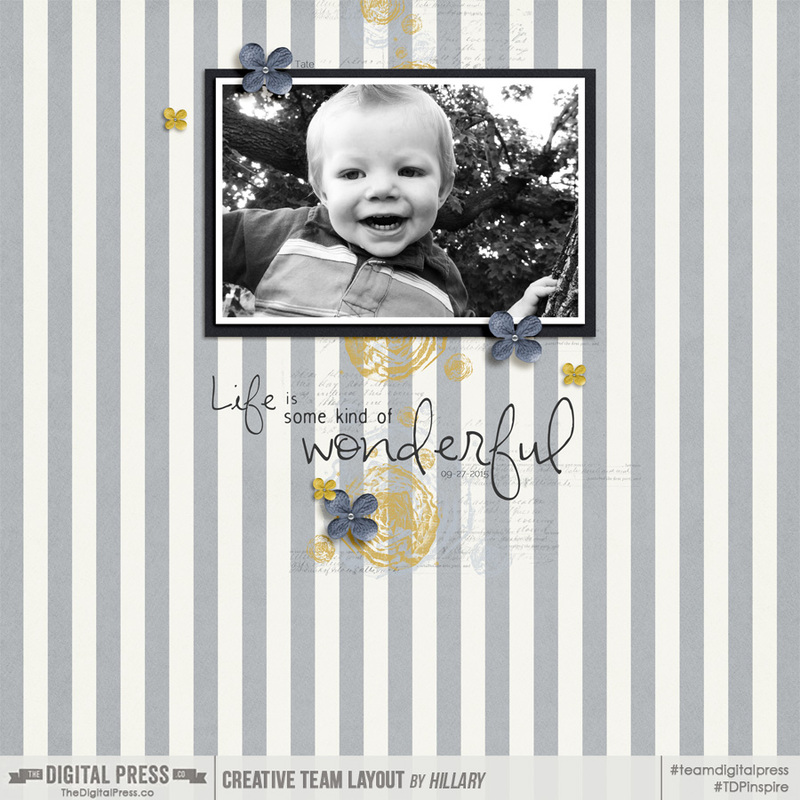 Congratulations to Michele (michelepixels), who has been selected as the winner of TDP's Scraplift Challenge! Michele, please check your forum messages (there should be a link at the very top right of your screen if you scroll all the way up to the top of this page) and/or your e-mail account... as I've just sent info about your prize to you through both methods. CONGRATS! and thank you for playing along with us during our First Birthday celebration a week ago!